Moscow - FIFA's anti-discrimination advisers are warning gay soccer fans going to the 2018 Soccer World Cup in Russia that displays of affection could be met with an aggressive response from intolerant locals. Homosexuality was decriminalized in Russia in 1993, but anti-gay sentiment remains strong and intensified after a law was introduced in 2013 prohibiting dissemination to minors of "propaganda" legitimizing homosexuality. 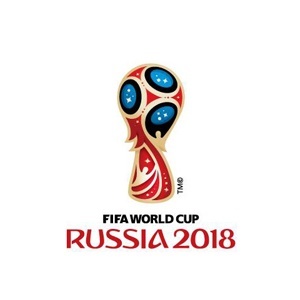 As fans prepare their trips after Friday's World Cup draw, the FARE network said it will produce a guide spelling out the threats to be prepared for in Russia. "The guide will advise gay people to be cautious in any place which is not seen to be welcoming to the LGBT community," FARE executive director Piara Powar said. "If you have gay fans walking down the street holding hands, will they face danger in doing so? That depends on which city they are in and the time of day. "The guide will also include some detailed explanations of for example the actual situation of the LGBT community in Russia. It is not a crime to be gay but there is a law against the promotion of homosexuality to minors. Issues relating to the LGBT community are not part of the public discourse. Gay people have a place in Russia which is quite hidden and underground." "British and German fans' groups have asked FIFA if they are OK to raise a rainbow flag inside the stadium," Powar said. "FIFA has not really responded so far to say if this is something the security services will allow." "There's nothing in the regulation from FIFA that prevents anyone from entering the stadiums with non-political messages," Addiechi said. "Do go to the World Cup, but be cautious," Powar said. "There are two elements to it - one towards people of color and other element is far-right nationalism. Far-right extremist groups have had around 300 people banned from attending the World Cup. "After years of denial about racism Russian FA finally taking action, group under Alexei Smertin has been addressing the issue and fines have been issued." Russian champion Spartak Moscow was punished by UEFA for monkey chants in a recent Youth League game against Liverpool. Spartak was also fined for discriminatory chants against fans from Russia's North Caucasus in a domestic cup game last month. Anti-discrimination observers will be deployed at the June 14-July 15 World Cup where matches can be stopped or abandoned if racism persists after warnings inside stadiums. "The World Cup must be inclusive, respect human rights, must respect the rights of everyone including minorities," Addiechi said. "We have the assurance from the Russian organizing committee and the Russian authorities that everyone will feel safe, comfortable and welcome in the country."